How can Audi A5 Light Up your World Like No-one Else? Being one of the world’s most celebrated motor vehicle manufacturers, Audi is a real eager beaver. The name of Audi takes away the sleep of many. To achieve all the attributes of a first-rate manufacturer, Audi has explored all avenues and thus its vehicles are a class apart. It is unambiguously popular among young people and they desire to have an Audi car as soon as possible. Audi is basically a German automobile manufacturer that is proficient at crafting and luxury and sports vehicles. Audi is an immensely reputed member of the auto giants Volkswagen Group. Audi vehicles are assembled in nine different production facilities around the world. If you think Audi A5 is not a wonder car then you must be living in a fool’s paradise. Basically, Audi A5 is a sequence of executive luxury cars fashioned by the German car manufacturer. It was presented in March 2007 for the first time, and its production is still under process. The Audi A5 is available in a range of cars which encompasses the Coupe, Cabriolet and Sport back versions. All the spare parts and other materials are available in the market along with Audi A5 engines. 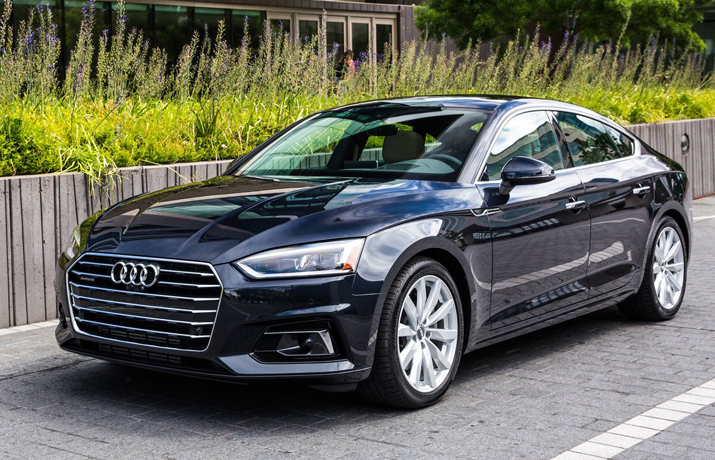 Audi A5 is a sleek, sophisticated and comfy car with a number of upgrades comparing to its previous A4 type. The most prominent aspect of A5 is its exquisitely built and precisely styled interior. It may not look as glitzy as that of its rivals, however, A5 has an earmarked grace and unique charm. The tools which are used in its manufacture are all top-notch quality equipment. Since Audi is available in several versions, it also offers a multitude of engine versions. Amongst Audi A5 diesel engines, the 187bhp 2.0-litre diesel is the most fuel efficient engine. It goes from 0 to 62mph in just 7.7 seconds. On the other hand, the four-wheel-drive version cuts that time to 7.2 seconds. Furthermore, the 215bhp 3.0-litre V6 diesel engine is fixed in Audi A5 Quattro four-wheel drive as regular engine and is tied with a seven-speed automatic gearbox. It has the ability hasten from 0 to 62mph in a shocking 6.2 seconds and has a top speed of 155mph. It delivers for smooth and swift progress on all kinds of terrains. In case of an engine failure, finding Reconditioned A5 Engines is not a problem anymore. d 248bhp r, approaching 0 to 62mph in 7.2 and 5.8 seconds correspondingly. You can also choose the high-performance S5, which accomplishes 0-62mph sprint in just 4.7 seconds. Its turbocharged 349bhp petrol V6 engine delivers a substantial 36.7mpg economy stats. The Audi A5’s interior is a flawless specimen of just how much consideration the German carmaker puts into the interior of its vehicles. The interior is overall well employed with strips of leather and aluminium. These materials increase the innovative and modern persona of the interior. Seats are perfectly aligned to support maximum legroom. Plus, the body of the driver remains comfortable during driving due to brilliant seat design.